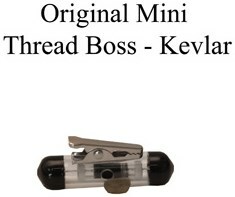 Now in a mini version with our Exclusive Kevlar Thread! This thread proves to be invisible even in the most adverse of environments. Especially good under florescent lighting, unlike any other Invisible Thread ever released. Due to the strength of this thread we are getting a phenomenal retraction distance out of this reel.